We’re pleased most with the sustained MPG improvements, which were significantly ahead of target. 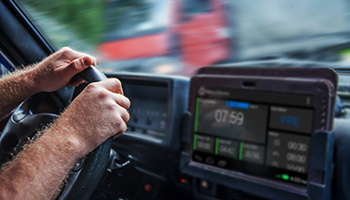 Get live access to complex, hard-to-calculate, forward-looking tachograph data like Drivers Rest Periods, Extended Driving Days and Compensation Rules. Get the most accurate, live and up-to-date view of each driver’s working time, driving time, waiting time, rest times and periods of availability. Eliminate wait times and administration costs of manual tachograph downloads with automated, remote, scheduled tachograph downloads. Deliver full driver infringement management reporting automatically with leave letters and calendar controls. Collect full tachograph analysis with a large suite of reports making fleets audit-ready. 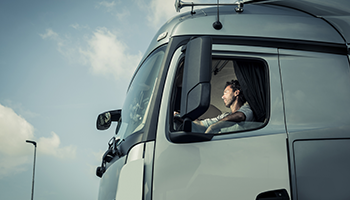 Compliance with ORBCOMM is more than just tachograph management. To see the full truck management product, request a demo today to see more compliance features..
Fast feedback on infringements leads to much improved compliance across the fleet with integrated Driver Infringement Reporting. 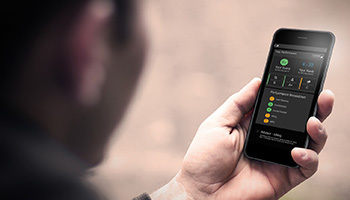 Drivers’ compliance scores are communicated to the driver via a Driver Performance app, which is available from the Google Play Store.